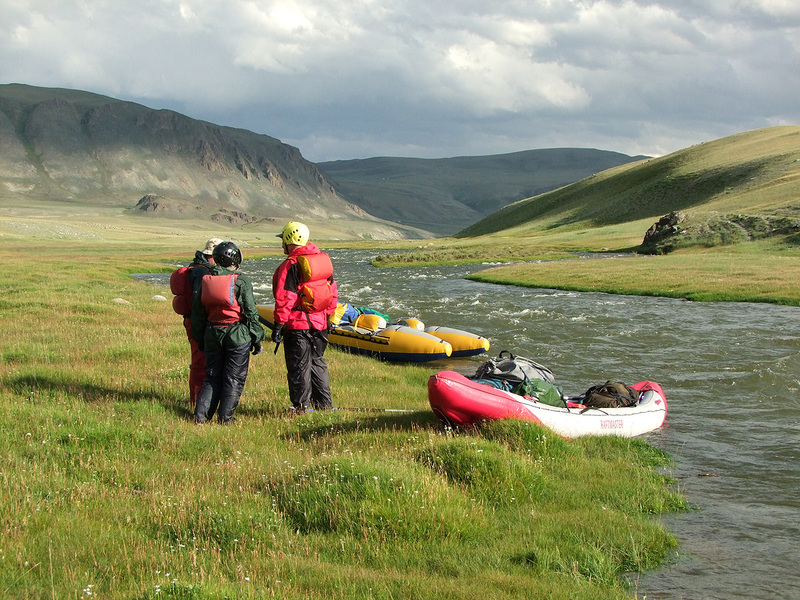 The river Godon-Gol flows in the Mongolian Altai mountains, Western Mongolia, right tributary of the river Kobdo-Gol. 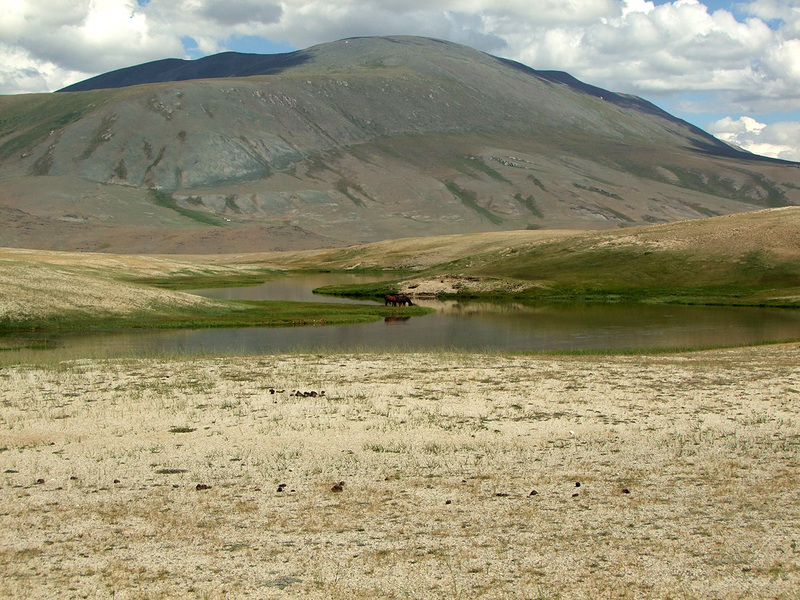 Lenght of the river 40.5 km, area of basin at source 870 km'. 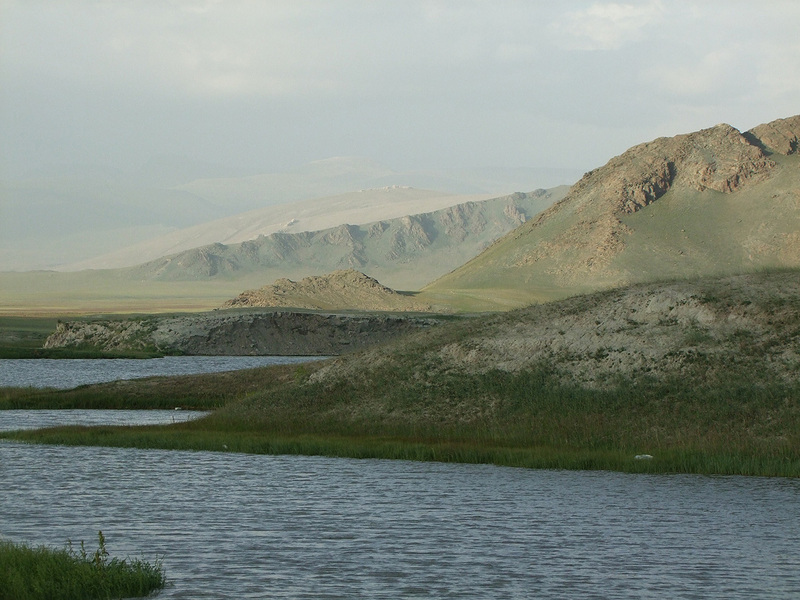 The Godon-Gol outflows from the large lake Dayan-Nuur. 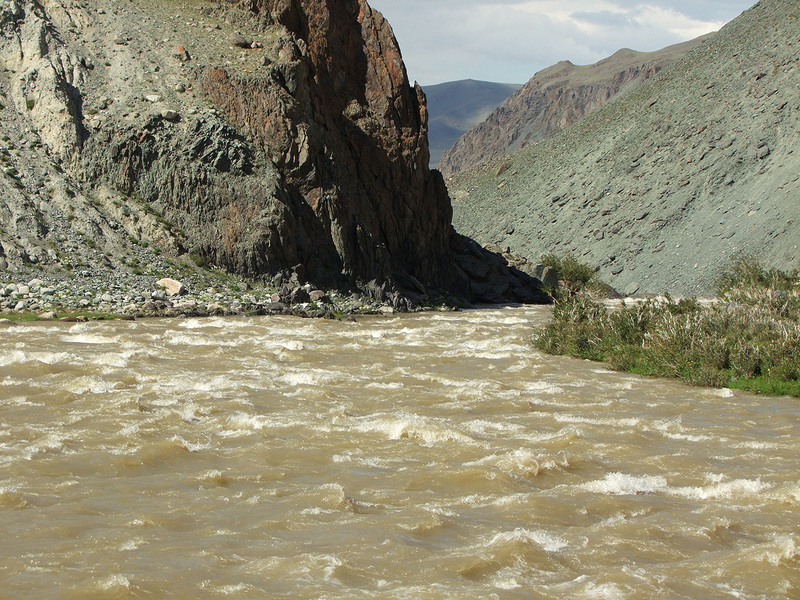 Throughout its length the river drops 187 meters - average gradient is 4.61 m/km. At the river the dry sttepe. At the river banks, in places rare bushes, in lower section in places single trees. 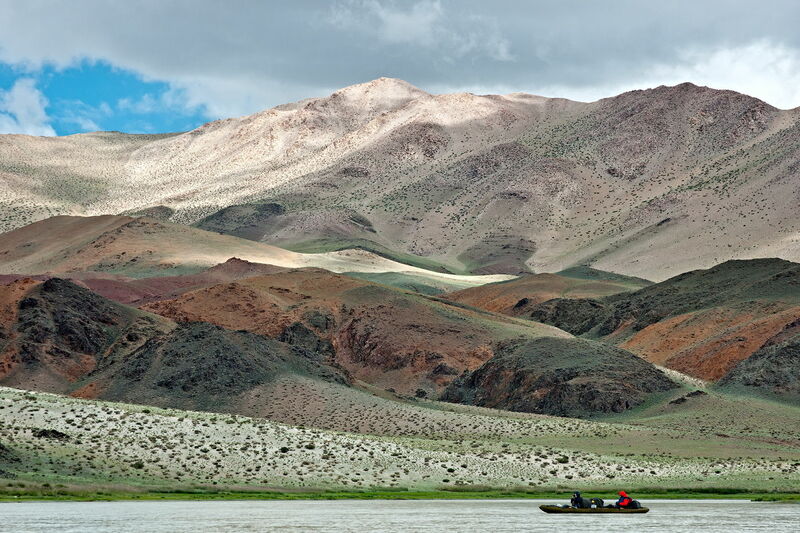 The river feeds mainly by rain and partially melted snow in the mountains. The highest water level in the river in June. In summer the river discarge at the mouth varies from 5 m3/s to 40 m3/s. 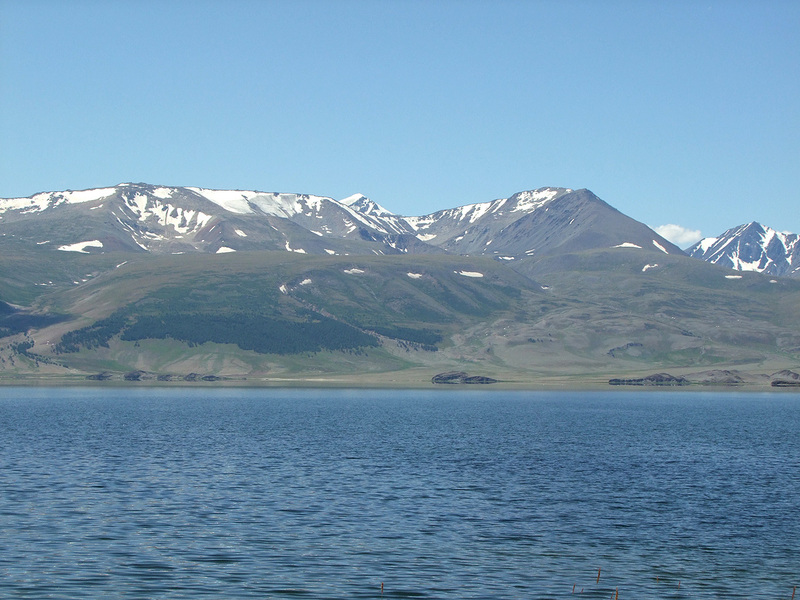 40.5 The Godon-Gol outflows from the lake Dayan-Nuur. Area of the lake 67.2 sq. km, lenght - 18 km, average width 4 km, maximal width 9 km, average depth 2.5 m, maximal depth 4.5 m, volume 1,57 km'. 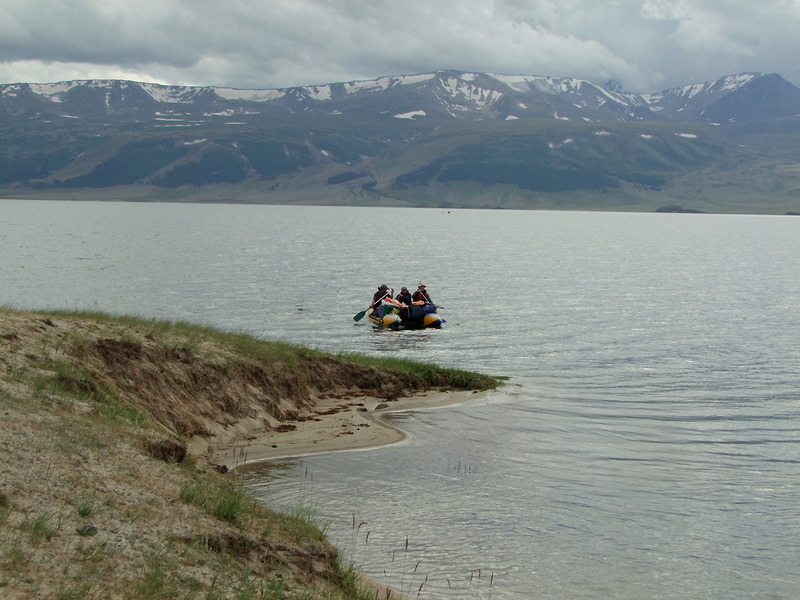 Into the lake inflows the rivers the Barun-Sala-Gol, the Dzhalaganshiin-Gol and several creeks. 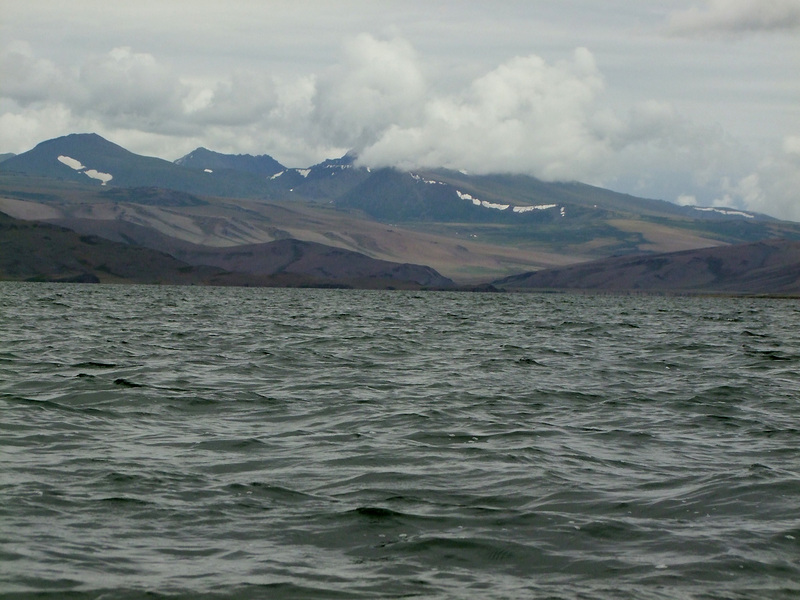 Good fishing - graylings, lenoks and Altai osmanns. The widh of the river 20-50 m, current calm, relatively deep. The valley vide. Degree of difficulty WW 0. Average gradient to the second bridge 2.49 m/km. 39.5 The wooden bridge. Right sheds. 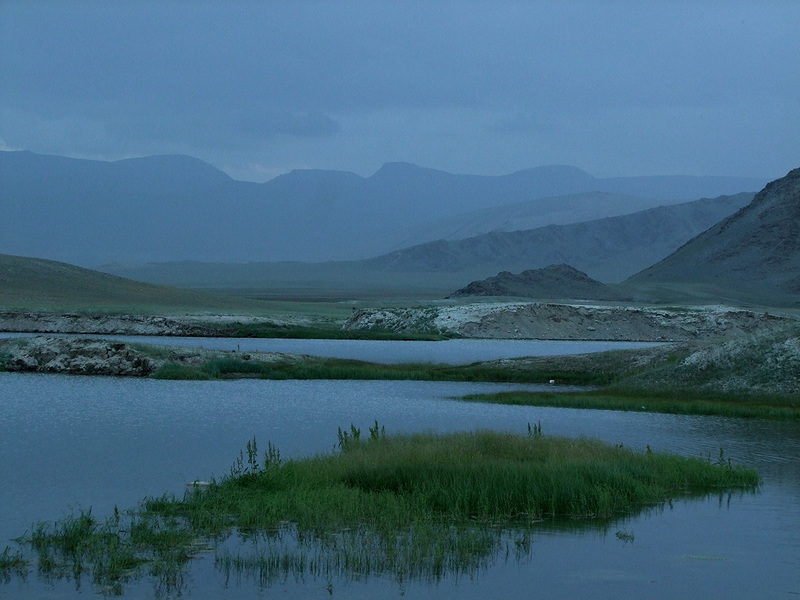 37.4 Right the tributary Ich-Chulagashiin-Gol. 33.7 The river flows through the small lake. 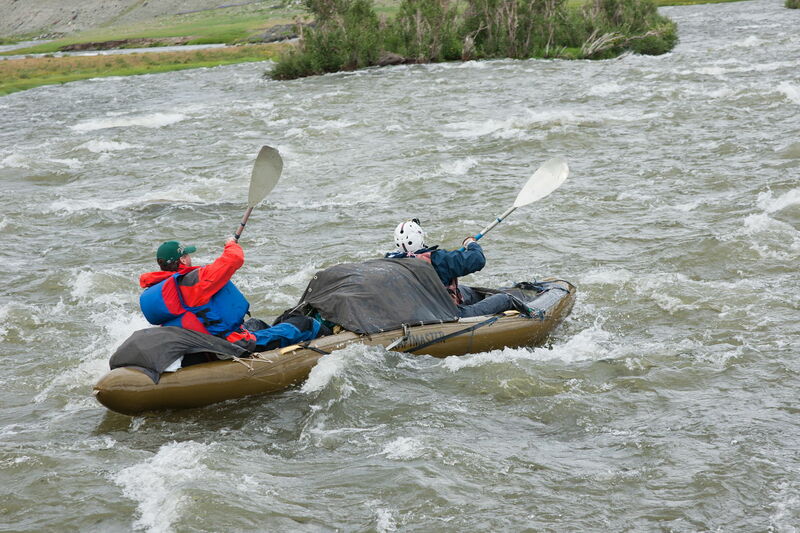 33.2 The river outflows from the small lake. Width of the river 30-50 m, current calm. 27.0 Right the small tributary. The river inflows into the small lake. 24.8 The river outflows from the small lake. 24.2 Right the small tributary. Right sheds. Current a bit accelerates , the river narrows up to 15-25 m. The river in places divides to branches. 23.1 Right the tributary Tsagan-Asgyn-Gol. The current accelerates, the river divides to branches, in the riverbed stones, easy rapids. Degree of difficulty WW 2-/2. 18.2 The wooden bridge. Left sheds. The current accelerates more. Average gradient to the mouth 7.21 m/km. 16.1 Right the small tributary Myzdy Bulag. 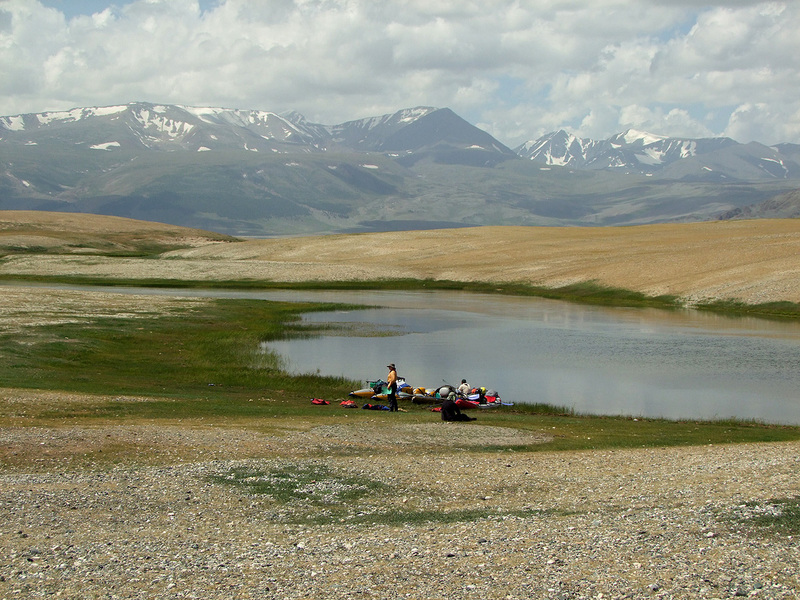 13.0 From right the mountains close to the river. The valley narrows, the river flows through the gorge. The current swift, the river divides to branches, easy rapids. Degree of difficulty WW 2. 9.9 The river flows in one riverbed. Right the peak Muzd Bulag (2558.7 m height). The riverbed width 20-25 m, boulders, stones, easy rapids. Degree of difficulty WW 2. 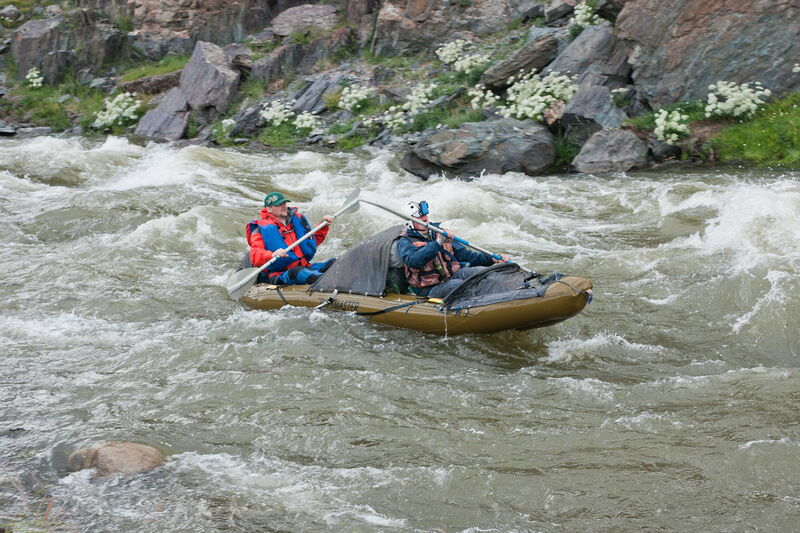 Downstream of rapid in the river islands, easy rapids, one rapid. Degree of difficulty WW 2/3-. 8.3 Left sheds. A little downstream left the single mountain. 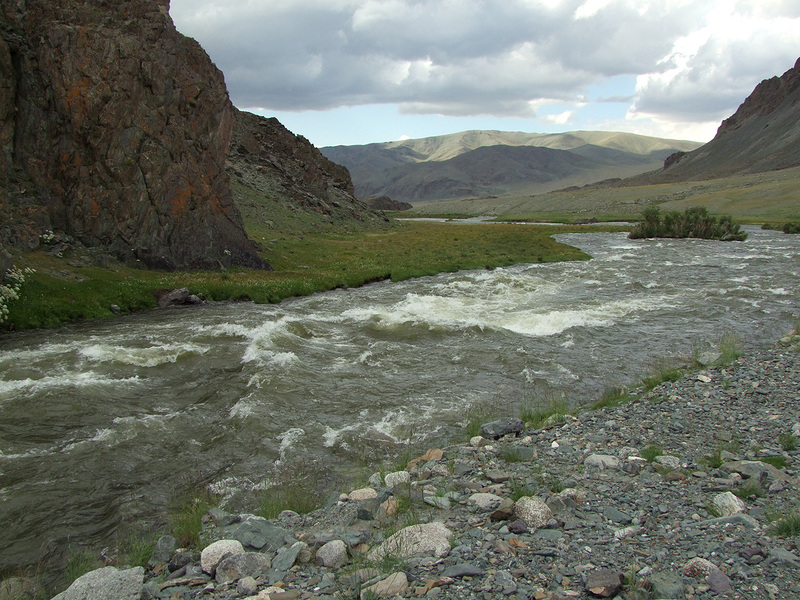 The river up to the mouth divides to branches, widh 10-20 m, the current relatively swift, easy rapids. Degree of difficulty WW 2-/2+. 7.2 Right the small tributary. 6.7 Right the dry tributary. 4.6 Right the dry tributary. 3.2 Right the small tributary. 1.3 Right the dry tributary. 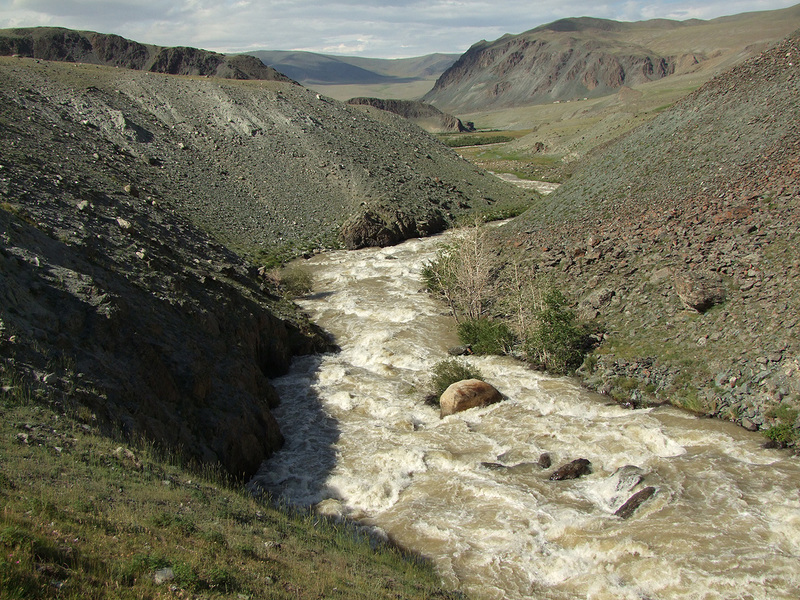 0.0 The river Godon-Gol inflows into the river Kobdo-Gol.